The Fleet is Ready to Load & Go. 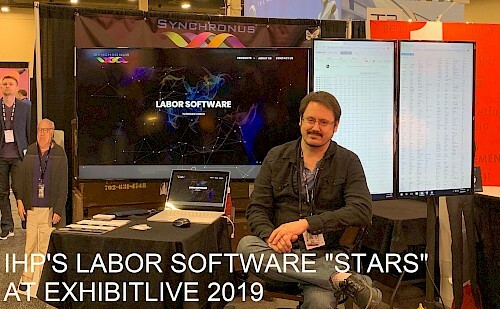 SYNCHRONUS - IHP'S MANAGEMENT SOFTWARE AT EXHIBITLIVE 2019. HAD A LOT OF INTEREST AND GREAT SHOW. TRACK JOB LABOR AT ANY TIME. 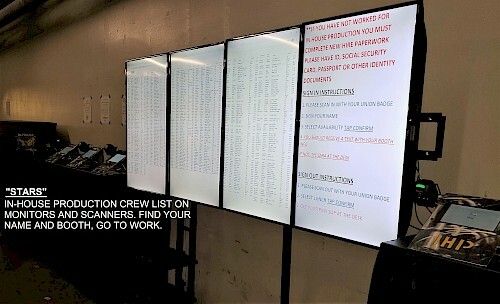 LABOR MANAGERS HAVE ABILITY TO TEXT WORKERS THROUGH PROGRAM. ACCESS WORKERS NEXT DAY AVAILABILITY. FLEXIBILITY BECAUSE OF THE CLOUD. ACCESS PROGRAM FROM ANY LOCATION, AT ANY TIME. DESIGNED FOR THE CONVENTION AND ENTERTAINMENT INDUSTRY. 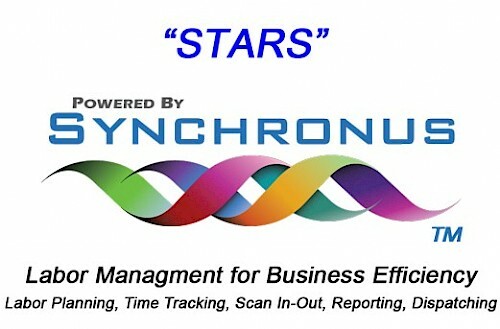 REDUCE CHAOS, uses "STARS" as your Labor-Management Software PROPRIETARY SOFTWARE DEVELOPED BY IN-HOUSE PRODUCTION. 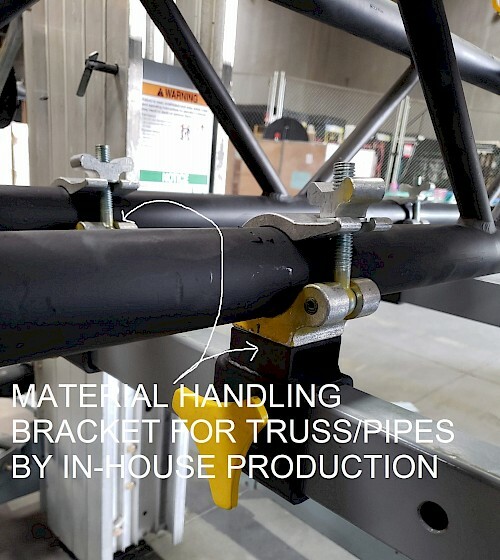 Using aluminum pipe clamps bolted to a steel clamp that screws down tight to the arm on the material lift, what a simple idea. Skilled and Certified Stage Labor. Nevada - Las Vegas, Laughlin, Henderson, Primm, Reno. California - Los Angeles, Anaheim, Palm Springs, Fresno. 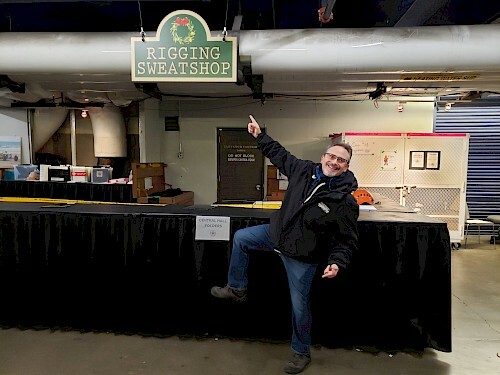 Theatre Fly-System Inspections and Repair. Custom Hanging Hardware for Monitors & Audio.